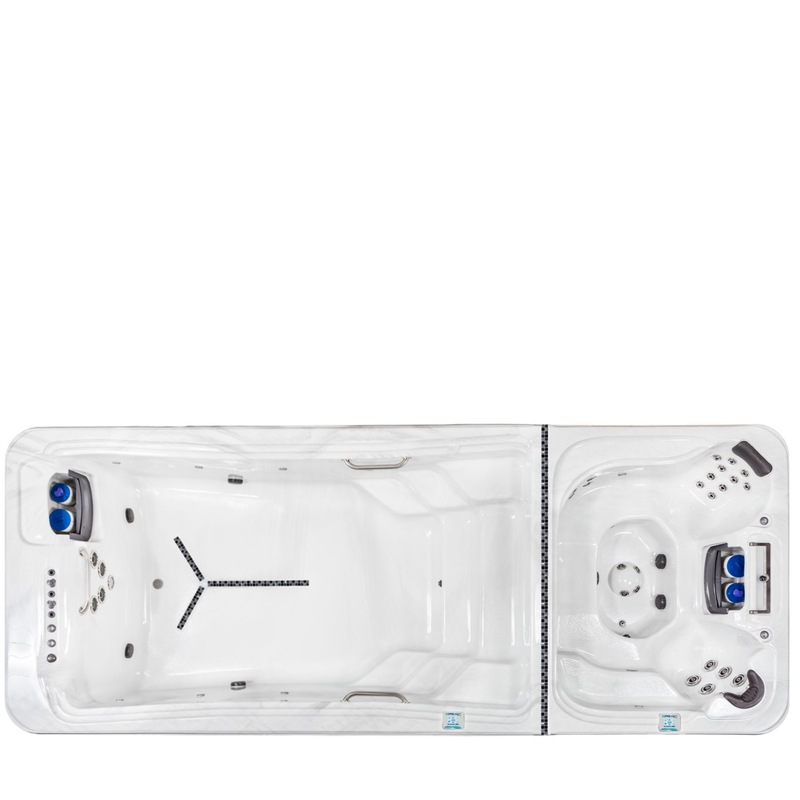 The DT-19 Dual Temp FitSpa features a 13-foot exercise pool with built-in stairs PLUS a 6 person hot tub with 35 jets and separate controls. Easy to own and operate, your TidalFit Swim Spa brings your workout home where you can pursue aquatic wellness within the privacy of your own home. No crowds, no traffic, no wasted time, and all the bliss of aquatic wellness, steps away from your door.